Last year the Louis Philippe has launched its jeans brand that was well accepted in the market. Speaking to media Jacob John, Brand Director, Louis Philippe, said, "Encouraged by the tremendous response that we have received from our one year old brand LP Jeans, we are increasingly going to focus on this category. We are optimistic that LP Jeans will be a big growth driver for us in the coming years." "We are looking at opening 10 exclusive LP Jeans stores this year and about 30 odd stores over next three years," he further said. 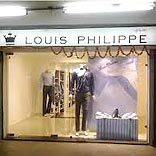 Louis Philippe contributes 30 percent to the overall turnover of Madura F&L and with a y-o-y growth of 25 percent, is looking at a turnover of Rs 1,200 crore in FY 2013-14. The brand is currently present in 100 cities and will be opening in 100 more towns - a combined figure for FY 2013-14 and next fiscal.